Contact info@yourvetspecialist.org if you would like to post details of an event for veterinary specialists. This event is in association with MedLed and VetLed. Date: Tue 7 May 2019 from 8:45am to 4:55pm. Training and mentoring of interns and resident is a critical role ensuring the future development of the veterinary specialist community. The objective of this workshop will be to review current policies, identify areas of strength and weakness in delivery of current internship and residency programmes, and discuss selection, pastoral support and how to develop and ensure desirable outcomes from training programmes, both from the perspective of the trainee and the mentor. 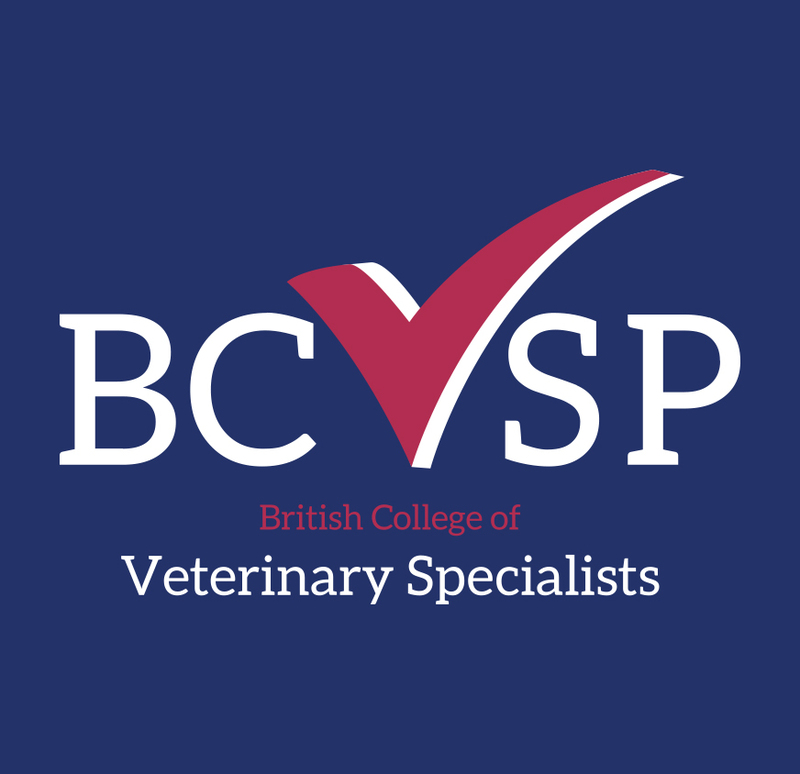 The day will also include a brain storming session with the aim of developing a strategy, objective and roadmap for BCVSp to support best practice in Training and mentoring veterinary specialists. Individuals who are not BCVSp members are very welcome to attend. BCVSp members and associate members are entitled to the sale price of £150. Please make sure you are logged in when you register in order to claim this discounted price. This one day BSVP meeting offers a quality lecture series discussing the challenging diagnosis of gastrointestinal neoplasia in companion animals. This conference will provide the attendant the most up to date information on biopsy assessment and scoring as well as immunohistochemistry panels to enable delegates to diagnose tricky cases in practice. Furthermore, the programme comprises lectures from a clinical pathologist and an internal medicine specialist, with the objective of providing pathologists and clinicians a balanced overview of the topic. Additionally, an exciting lecture from a specialist human GI pathologist, Prof Mark Arends, will discuss the comparative aspect of pathology with insights into the most recent research on human GI neoplasia. Please come along and take advantage of this unique group of speakers. A bursary will be available for residents and trainees are strongly encouraged to present interesting cases during a conference case discussion. The day will be facilitated by members of the Clinical Audit Support Centre who train human medical staff in clinical audit and have also run training days for various veterinary groups. The morning will consist of a review of the principles of clinical audit, lessons learnt in human medicine and a review of the current state of clinical audit in veterinary medicine. The afternoon will be a discussion and brain storming session with the aim of developing a strategy, objectives and roadmap for BCVSp to support and co-ordinate clinical audit in Veterinary Specialist practice. Individuals who are not BCVSp members are very welcome to attend. BCVSp members and associate members are entitled to the sale price of £100. Please make sure you are logged in when you register in order to claim this discounted price. The Royal College of Veterinary Surgeons (RCVS) is holding a two day ‘Introduction to the UK veterinary professions’ continuing professional development (CPD) event for overseas trained veterinary surgeons and veterinary nurses next month. The event is for all overseas qualified vets and veterinary nurses who are either already on the Register, or who are intending to join the UK Register and would like to learn more about working in the UK and takes place in London on 20 and 21 November. The first training day will be held on Tuesday 20 November at the RCVS headquarters on Horseferry Road, London. This day, titled ‘Working in UK veterinary practice: key information for vets and vet nurses’ will focus on the logistics of UK working, as well as covering how UK veterinary professions are organised, information regarding jobs, employment rights, and support available for veterinary employees who are in need of assistance. The course also seeks to help attendees understand their legal duties as a veterinary professional in the UK, along with their expected standards of professional conduct. The course will be free to attend, with lunch and refreshments provided. The day will also see talks from various key figures in the field, including representatives from the British Veterinary Association (BVA), Veterinary Defence Society (VDS) Training, and the charity Vetlife, which was set up to help veterinary professionals manage their mental health and wellbeing. The second part of the course will be held the following day on Wednesday 21 November and is a paid-for masterclass in communication offered by the VDS, titled ‘A master class in communication skills’. This course aims to help delegates improve their confidence and communication skills when starting work in the UK. The course presents delegates with scenarios they may face in the consulting room, using professional actors in role-play, and advises on the best ways to handle any potential situations. The day costs £180 per person, and will be held at Mary Sumner House in Westminster, where refreshments and lunch will also be provided. The overall aim of this training is to improve the experience of overseas vets coming to the UK to work, as well as reducing the risk of complaints being made towards veterinary professionals, which will in turn contribute to the overall wellbeing and productivity of the UK veterinary workforce. This year’s BSVP conference offers a quality lecture series focused on the four most common presentations of farmed ruminants to the post mortem room (pneumonia, sudden death, diarrhoea and abortion/perinatal mortality). This conference incorporates an applied ‘front line’ investigative approach with in-depth reviews on the pathogenesis and diagnosis of selected key diseases. Designed for all vets and veterinary pathologists engaged in the investigation of farm animal disease, we will address typical clinical history, key gross findings, sampling technique and interpretation to aid in the diagnosis and surveillance of disease. The programme will be delivered by a team of experienced clinicians, veterinary investigation officers and farm animal pathologists, supported by our Keynote speaker, Prof Francisco Uzal (UC Davis), and several leading scientists in the field. Please come along and help shape the future of UK farm animal pathology and disease surveillance by making your voice heard during an expert panel discussion. Trainees – don’t miss this valuable opportunity to gain key tips and advice on passing the board examinations by attending a training session led by two current members of the ACVP Exam Committee. This event brings together vets and vet nurses for a weekend of sport, wellbeing, fun, and laughter all with the wider cause of committing to make a positive change. It’s a chance for vets and vet nurses to connect with their peers, to share their experiences, to re-charge and re-energise. This year’s BSVP companion animal meeting offers a varied lecture series focused on ocular pathology. Lectures from specialists in veterinary pathology, veterinary ophthalmology and veterinary oncology offer a stimulating platform for discussion and provides quality CPD for both veterinary specialists and first opinion practitioners alike. Speakers include Emma Scurrell (Cytopath), Sue Murphy (University of Edinburgh) and Caroline Thaung (a consultant in Ocular Pathology at Moorfields Eye Hospital, London). Registration for this conference opens at the end of February 2018. The 27th Annual Scientific Meeting of ECVS will be held at the Athenaeum InterContinental in Athens, Greece. The programme includes large and small animal streams. Whether you’re looking to inject a big dose of the latest scientific research into your practice, or just want to seek out the trends that will keep you a cut above the rest, the ACVIM Forum’s invigorating blend of leading-edge scientific research, state-of-the-art lectures and exclusive networking connects you with the best and brightest in the veterinary industry. With more than 550 sessions and up to 38 hours of CE credit hours available, the 2018 ACVIM Forum is a must attend event for veterinary professionals.